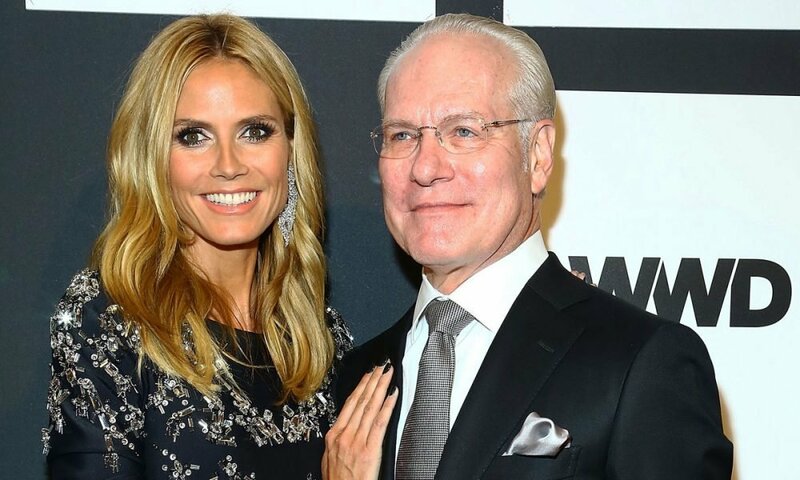 Project Runway is about to lose its award-winning judging duo, Tim Gunn and Heidi Klum. And guess who’s poaching the show’s talent? Amazon. Tim Gunn and Heidi Klum have been on Project Runway’s judging panel for over 14 years (16 seasons) but now they’re about to say au revoir to the competitive fashion series. Instead the two are reteaming for another television series for the ecommerce giant Amazon. But Klum and Gunn aren’t the only one missing from the revival of Bravo’s Project Runway. Zac Posen recently announced that he also won’t be rejoining the judging panel on the new season of the series. Amazon, which is becoming a leading player in the world of on-demand entertainment streaming, hasn’t revealed details about the new reality series Klum and Gunn are about to become a part of. All we know so far is that the show will create a new twist on fashion and make it accessible to a broader, global audience. The series offers a fresh perspective on the reality television space by showcasing a fashion competition backed by authentic and compelling storytelling. Amazon isn’t just creating a series where people can watch the latest fashion trends. The ecommerce giant aims at bridging the gap between commerce, technology and content by offering the audience not just a viewing experience but also allowing them to shop the latest looks and trends they see on the show. Klum announced in a statement that she was finally saying ‘Auf Wiedersehen’ to Project Runway after helping host and create the show for 16 seasons. She added that the show will always have a special place in her heart and she is proud of everything it has achieved over the past 14 years. She was mostly grateful to the fans who stuck with the show for so many years and the amazing platform which helped so many talented contestants to find success in the fashion industry as designers. It was during this announcement that Klum revealed that even though her journey at Project Runway had come to an end, her hosting adventure with Tim Gunn was far from over. The former model only revealed that she will be partnering with Gunn for a new Amazon show and couldn’t say just yet what the team is designing next. Gunn added to Klum’s statement that he is extremely thankful to Project Runway for helping his career reach new heights of success. Not even in his wildest dreams did he think that he would become a part of such a groundbreaking series that provided a creative platform for young designers to explore their talent. Gunn said that he was excited for the fashion adventure that lay ahead for him and Heidi. In 2016 Lifetime made a pact with The Weinstein Co. to renew Project Runway for another three seasons but the contract was voided after the company went bankrupt. The announcement came only weeks after it was announced that Project has been revived for its 17th season after its creator The Weinstein Co. was recently acquired by Lantern Entertainment. The acquisition followed after a string of harassment allegations against Harvey Weinstein left Weinstein Co. bankrupt. The fashion competition show first made its debut in 2004 on NBC Universal-owned Bravo but after two seasons, it was moved to Lifetime where it ran for an additional 11 seasons. In 2016 Lifetime made a pact with The Weinstein Co. to renew the show for another three seasons but the contract was voided after the company went bankrupt. Bravo’s spokesperson said in a statement that the network is proud to bring back Project Runway, even though Heidi Klum and Tim Gunn will remain a huge part of the show’s legacy. Amazon Studios’ new head, Jennifer Salke, says that getting someone like Heidi Klum on board is a huge victory for Amazon. According to her, Tim and Heidi have become pop culture icons thanks to Project Runway, which has put the duo in a fashionably entertaining light. Salke is hopeful that the pair will attract an even larger audience at Amazon’s global Prime Video runway.